Look no further than PackZen for all you badge needs. We have a large menu of badges from which to choose. Service people and leaders, such as fire chiefs, emergency medical technicians, medics, police officers, and sheriffs can buy the best badges possible. We also carry name tag holders, ID badge holders, badge wallets, specialized law enforcement badge wallets, name badge holders, and so much more. 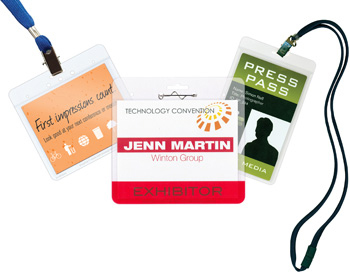 PackZen offers such an expansive variety of highest quality badges that you will look no further to find what you need. In addition to the multiple badge styles and sizes, we have pre-punched holes for your clips, lanyards and pins. PackZen products can be produced in an array of colors. Custom work is absolutely available. 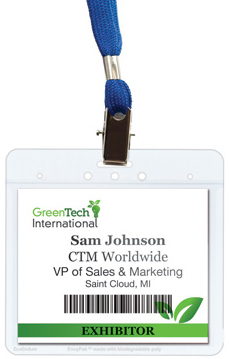 Make the statement that you are environmentally conscious at your next special meeting or event. With manufacturing sources from a wide selection of materials we can meet your green needs.